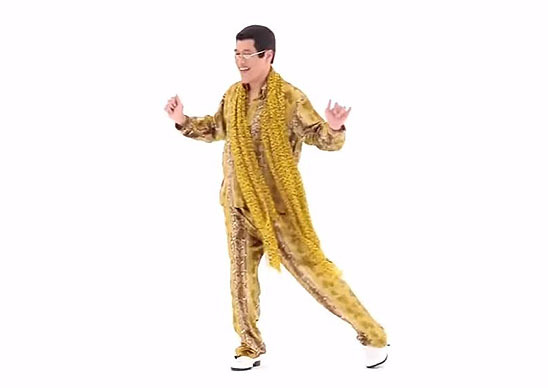 Pen-Pineapple-Apple-Pen (PPAP) is the addicting viral hit song by Piko Taro aka Japanese comedian DJ Kosaka Daimaou. 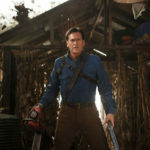 Some are calling it the new Gangnam Style. There’s already thousands of parodies of the video. 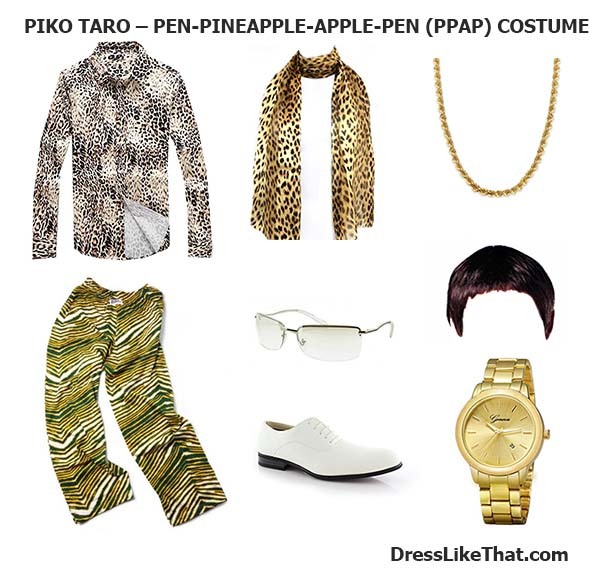 Now you can put together your own PPAP costume for your own parody video. 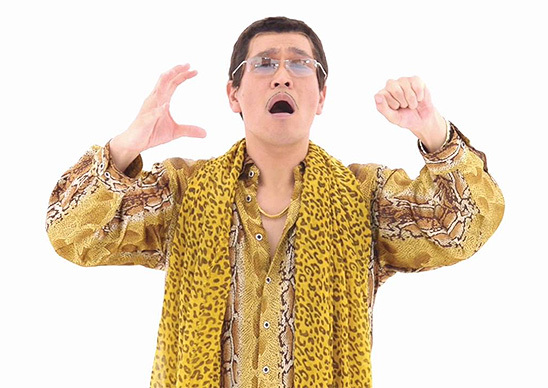 In the video Piko Taro is wearing some snake print clothes/pajamas and a leopard print scarf. Some of the items are hard to source but honestly I think the scarf is going to be the most important thing. First, you’ll need a snake/animal print dress shirt. 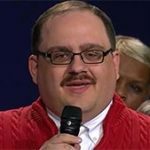 Some alternatives would be an animal print t-shirt or a gold/yellow button down. Next, you’ll need some snake/animal print pants. Gold/yellow colored pants would be a good alternative. Wrap a leopard/cheetah print scarf around your neck. Slip on a pair rectangular sunglasses/glasses. Slip on some white dress shoes (although I think any pair of shoes would work in a pinch). Grab yourself a gold chain. I think something around 20-22″ would be perfect for most. If you want you can style your hair to match or you can pick up a wig. Toss on a gold watch if you have one. Not necessary unless you want to things accurate. Draw yourself a thin mustache using some costume makeup or a makeup pen. Don’t forget to sing the song. I have a pen I have a Apple. I have a pen I have Pineapple.